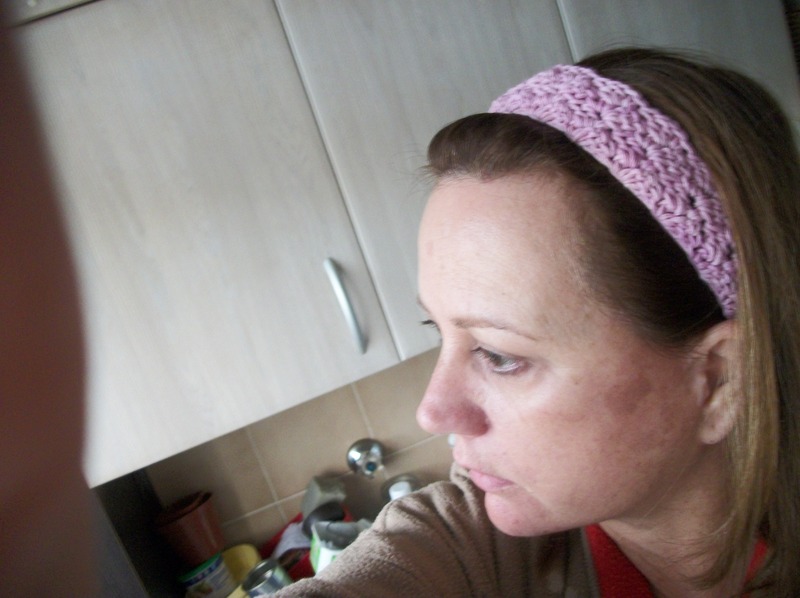 I can’t get that bloody song by Men at Work out of my head, every time I think of Sharon in Melbourne and my headbands! I’m only really sure about three of the words and the order they’re in — “land”, “down” and “under” — the rest I make up on an ad hoc basis. So, with great thanks to Sharon down under, this pattern is good to go. It’s going to feature in a kit (watch this space) but I also want to share it on my blog. The original stitch pattern is called Palm Leaves, and I’ve used it for blankets and scarves and other things, it’s very versatile. I’ve made these bands with Vinni’s Nikkim cotton and a 4mm hook. 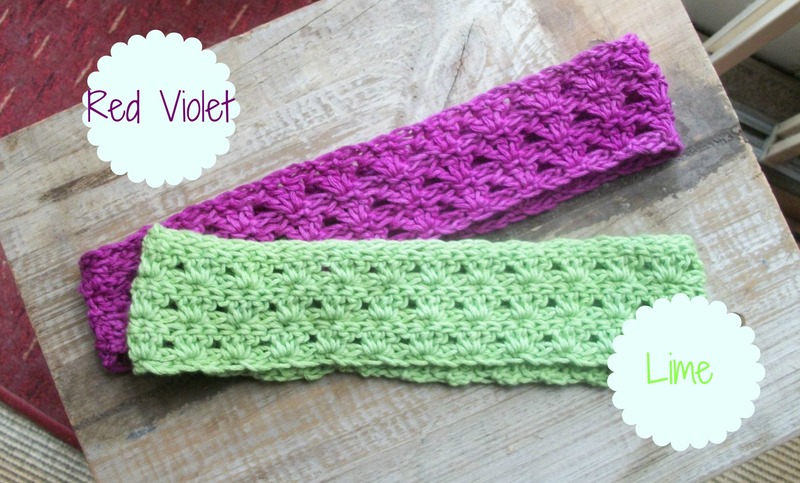 The red violet is a new addition to Vinni’s colour range, and it’s divine. I made this to fit an average adult woman’s head (e.g. mine! I hope you don’t think I have a big head!) but I’ve included an adjustment to the number of beginning chains if you need it smaller or bigger. Note: I’m using British crochet terms here. Ch 73 (small), 76 (medium) or 79 (large). Row 1 1ch, miss 1, *1dc in next st, 2ch, miss 2 sts*, repeat from * to * to end, 1dc in last st. Turn. Row 2 3ch, 1tr in 1st dc, then 3tr in every following dc, and 2tr in last dc. Turn. Row 3 1ch, 1dc in first tr, *2ch, 1dc in central tr of group*, repeat from * to *, 2ch 1dc in 3ch. Turn. Repeat Rows 2 and 3 twice. Fasten off, leaving a long end. 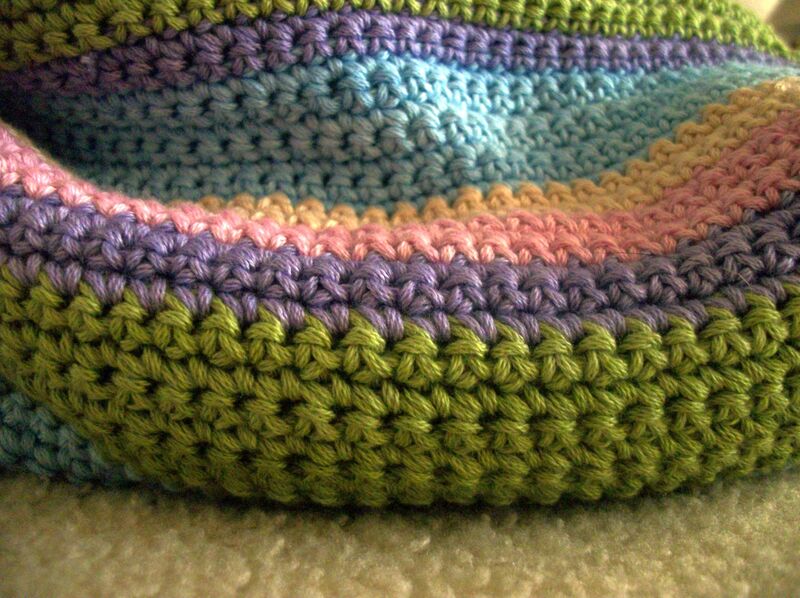 With the yarn needle, use the long end of cotton to stitch the short sides of the band together. Weave the other end in neatly. 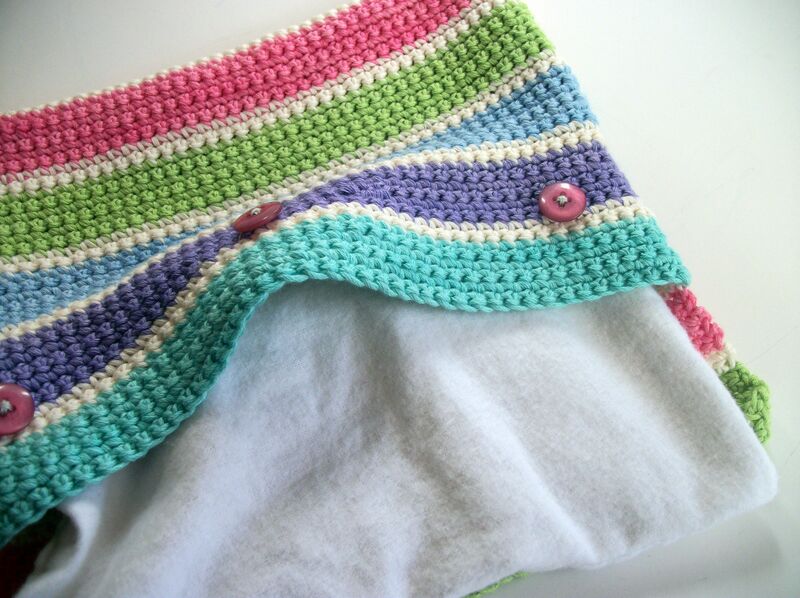 This entry was posted in Craft, Crochet, Vinni's colours and tagged colour, cotton, crochet, design, diy, headband, jam tarts, stitch pattern on August 16, 2013 by Nice Piece of Work. Some sort of horrible energy-sucking bug or virus has had me in its grip the last couple of days, today I have been almost totally inert. I feel like one of those lantern-jawed sea monsters that lives 72 million feet under the deepest ocean and conserves energy by never moving a whisker. It’s 5.55pm here, I’ve been under the covers most of the day, but I’ve just managed to make myself coffee and am also going to force this post (most of it done two days ago, when I felt more human). When is a hexagon not a hexagon? Why, when you can’t count properly and you end up with five sides instead of six. But it’s okay, I like it better this way. And it works out perfectly for my bag idea. These girls are going to be bags, with a felt lining and magnetic clasp and long strap. Laura over in the mother country (= UK, haha) has volunteered to make one up following my pattern and using the Vinni’s cotton I send. When she’s given me the thumbs up, the kits will follow. A blue one, a turquoise one, a pink one, and a mixed one (because I was dying to use the new Brick Red that arrived this week). I was also thinking greens. And maybe neutrals. Kathryn in Colarado has been working on the mitts pattern, and has come up with some incredibly useful suggestions and a great new lay-out (far and above the ‘call of duty’). 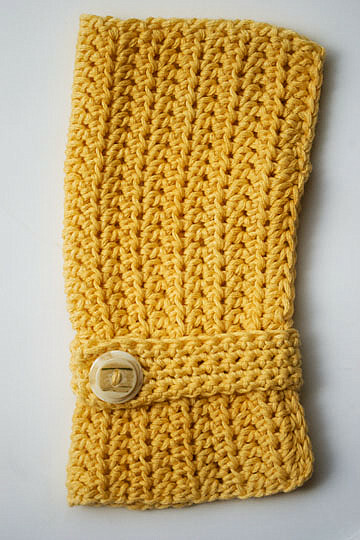 She chose to make hers in Sunshine yellow, and here’s the first one she finished. Kathryn also writes a blog. I like reading what she writes. Two very thoughtful ladies have included me in their nominations recently, for which I am happy and appreciative, and I promise promise to fulfill my acceptance conditions (eg. answering some questions and nominating other blogs) as soon as the blood starts flowing to my brain again. 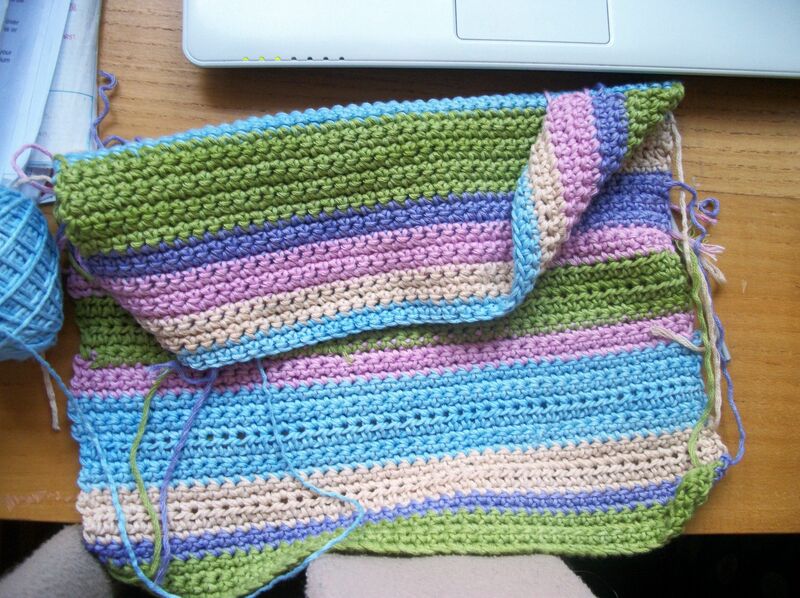 In the meantime, thank you both very much, Alice and Jane: Knit n Run 4 sanity and Rainbow Junkie Corner. 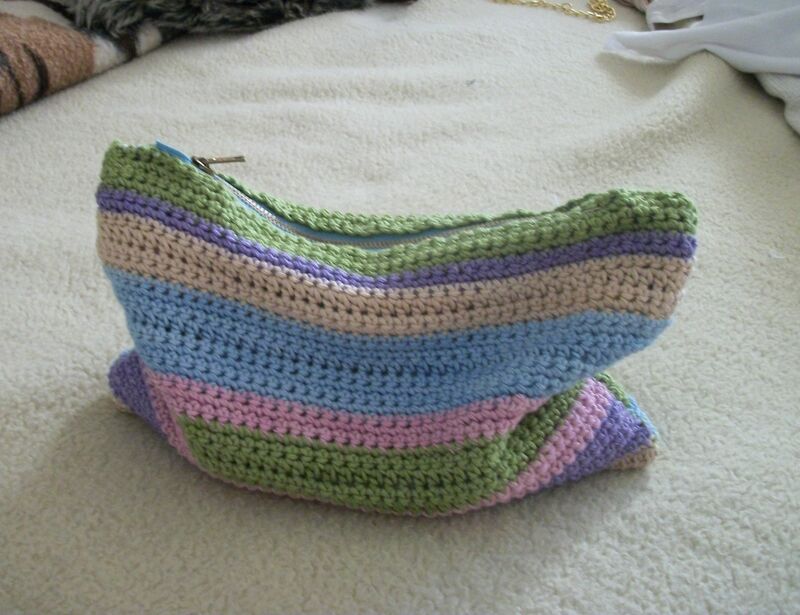 This entry was posted in Craft, Crochet, Vinni's colours and tagged bag, colour, cotton, crochet, design, fingerless mitts, kit, pentagon, Vinni's colours on August 9, 2013 by Nice Piece of Work. So, the pattern, instructions and cotton for the fingerless mitts kit are on their way to Colarado to be tested (not Canada, I don’t know why I kept thinking Canada, maybe I just have a small brain and two proper nouns both starting with C was too much overlap for me), and the pattern and cotton for the headbands is on its way to be tested in Melbourne, Australia. Kathryn and Sharon, thank you both in advance! 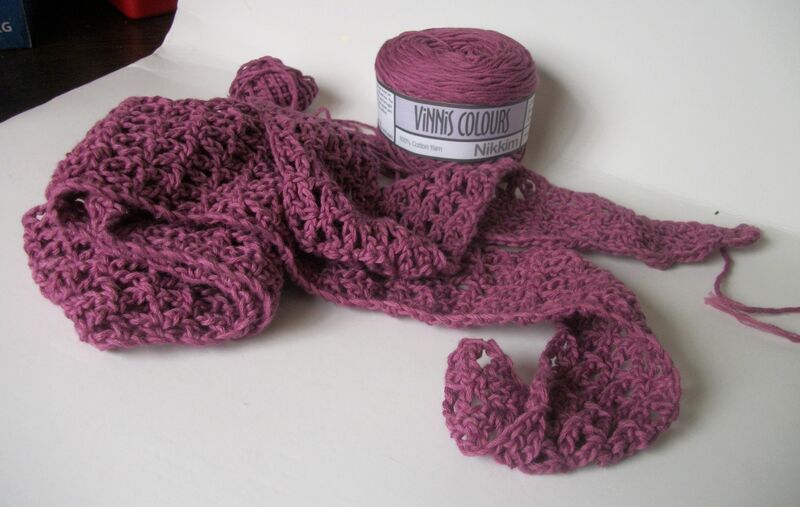 Right, next up = mesh stitch scarf, 4.00mm hook, Vinni’s dk cotton in Plum. I did most of this last night watching the first two episodes of the new Dexter (! 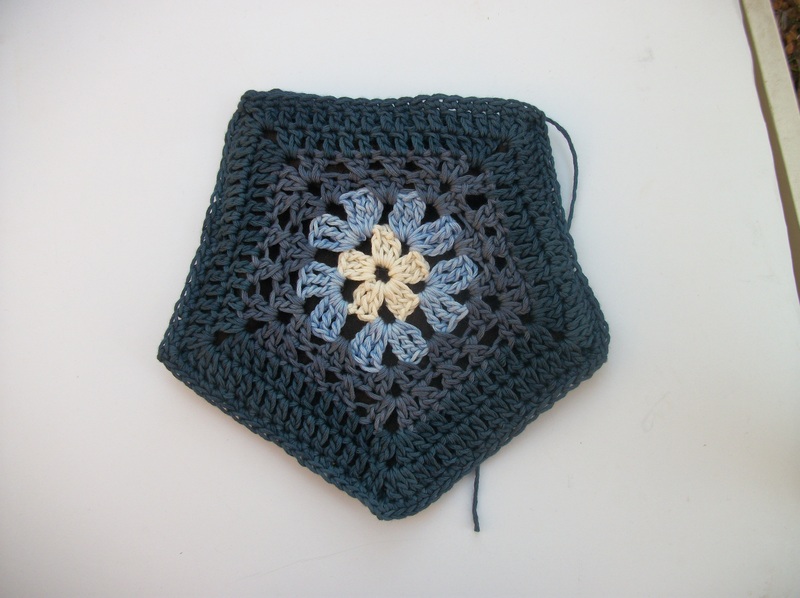 ), and hope to finish it and have the pattern knocked out sometime tomorrow. Is there anyone out there who would be willing to test this one? I’ll send you all the cotton you need (colour of your choice), the pattern, the instructions, and I’m also thinking of including a simple gold or silver pin to, well, pin it together. I’ll just need your honest comments afterwards (and hopefully before Christmas!). This entry was posted in cotton, Craft, Crochet, Vinni's colours and tagged cotton, craft, crochet, design, dk cotton, jam tarts, kit, scarf, tester on July 27, 2013 by Nice Piece of Work. 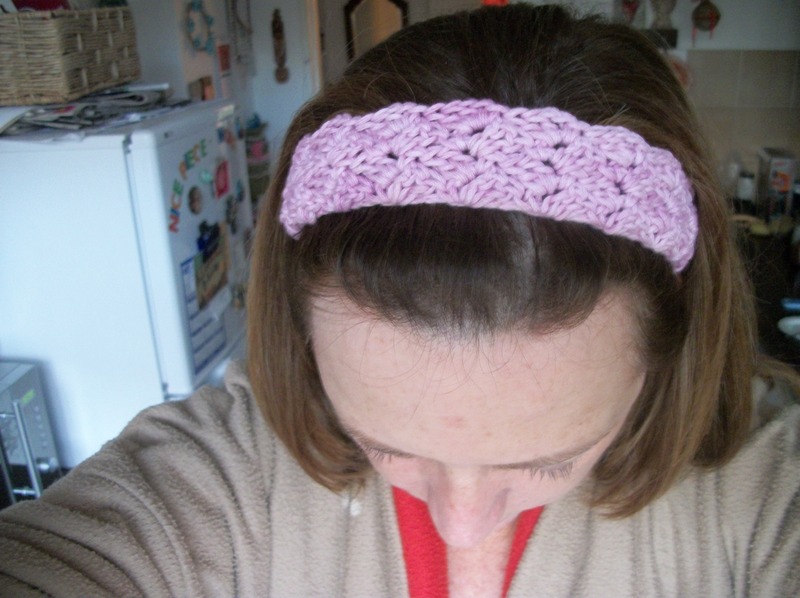 Been meaning to make myself a headband or three. I mean, that’s why I grew my hair long, right, so that it has to be kept out of my face?! I found this pattern last night, by Mountain Mama, and whipped it right up*. Took about 15 minutes. Instant gratification. Lovely pattern. And the size was perfect, I didn’t need to alter a thing. * Used Vinni’s Nikkim in purple-pink, and a 4mm hook. 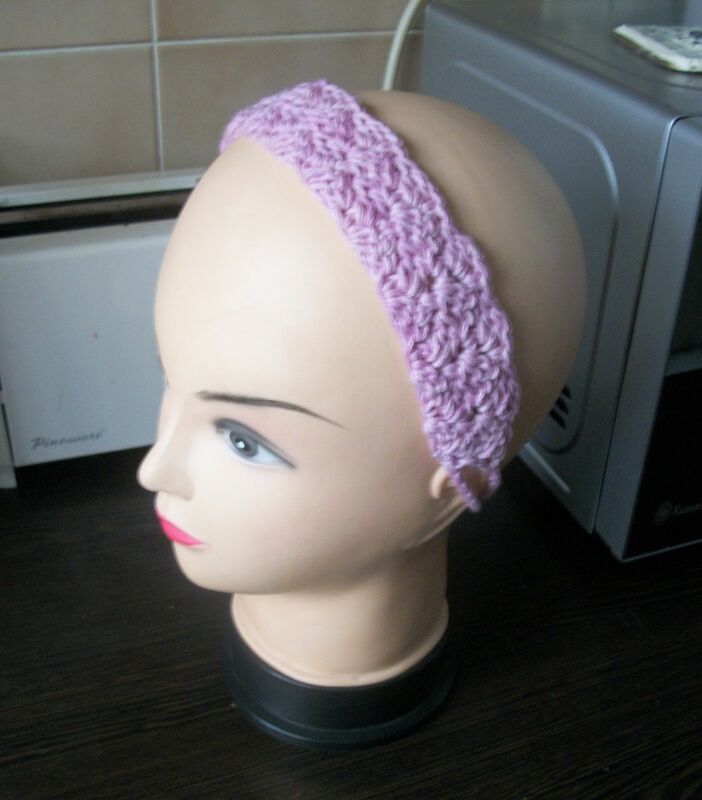 This entry was posted in Craft, Crochet, Vinni's colours and tagged craft, crochet, diy, headband on July 24, 2013 by Nice Piece of Work. Getting closer to a beta release with this one! I made it a bit longer than the first one so that I could fold over a buttonhole flap at the top. That zip business was going to irritate me no end. I’m pleased with how this turned out, and I prefer the colours, too. I think they look better with a thin stripe of cream inbetween. I thought I’d incorporate some fancy stitches in the next one so it’s not all just plain dc – although sometimes plain dc is exactly what you want! I can tell you that the few drops of Serenity oil that I added to the rice have lasted and lasted, and it’s had a good few heatings already. Also, the rice still seems fine. No explosions or funny noises! This entry was posted in cotton, Crochet, Vinni's colours and tagged colour, cotton, craft, crochet, design, heat pad on July 9, 2013 by Nice Piece of Work. Yesterday, Saturday, was a bit of a non-starter for me, so I just went with it and stayed in bed and finished my Kathy Reichs. I really had to force myself to get up mid-afternoon and go through the motions, but somehow I did – and managed to rouse enough energy to finish this – my heat pad. Ta-da! Well, not exactly finished because the zip is still just tacked in. And knowing me, as I do, it will probably stay that way because I no longer think the zip is the best idea and I’ve started another one that will have three buttons to close it up instead. 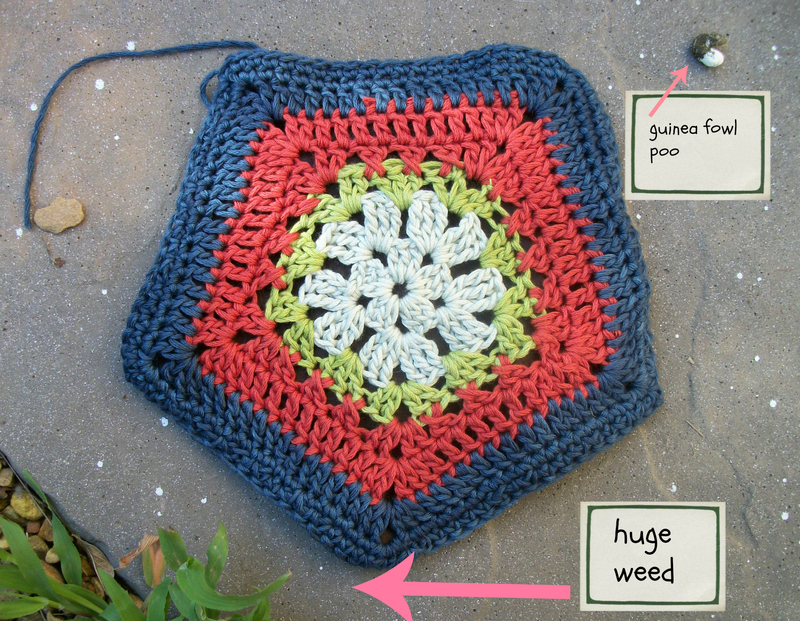 Here’s what I did: Using Vinni’s DK Nikkim cotton and a 4mm hook, chain 46. Work in dc and make a rectangle approximately 44 cm long. Change colours to suit your fancy. 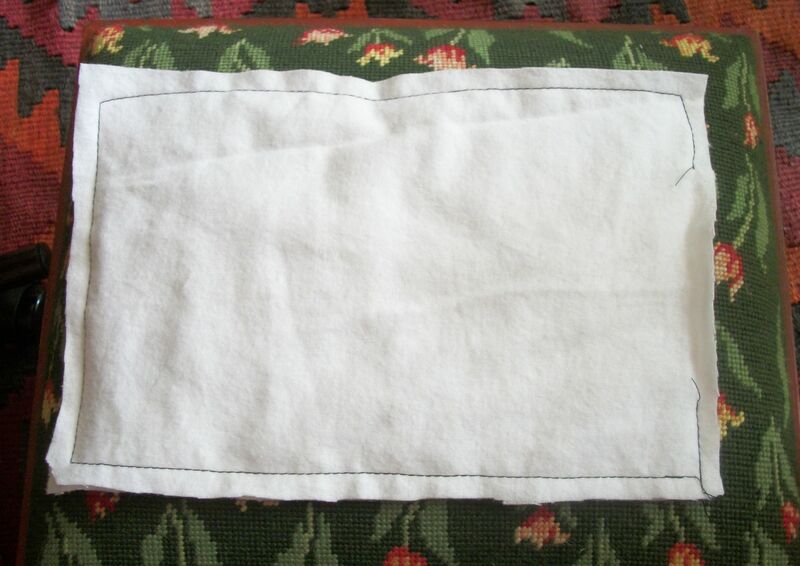 Weave in the ends, fold the rectangle in half, and sew the side seams together. 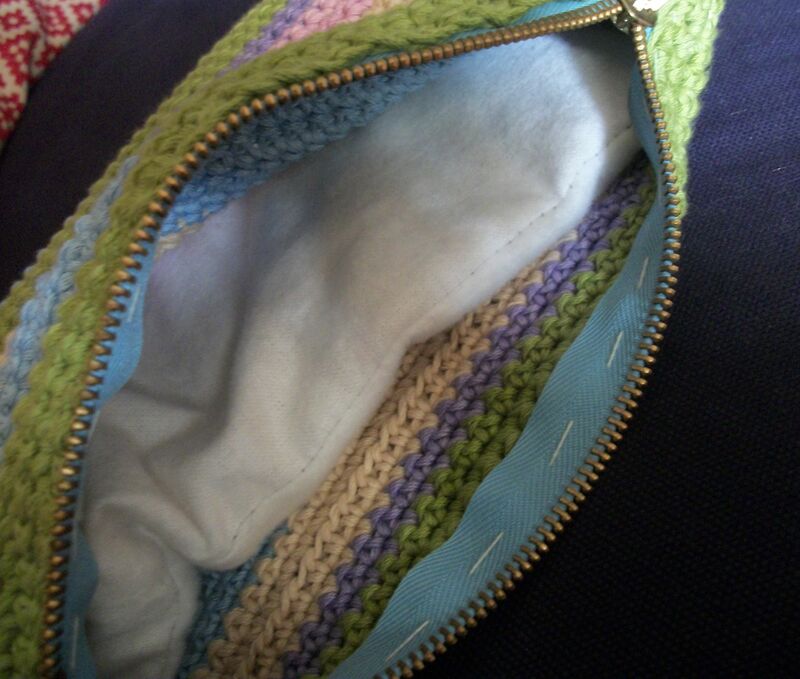 Tack in a zip along the open edge, and if it’s a bit shorter than the seam, slip stitch the edges together where there’s a gap. I used a metal zip, which turns out not to have been the best idea. Oh well, you live and learn. 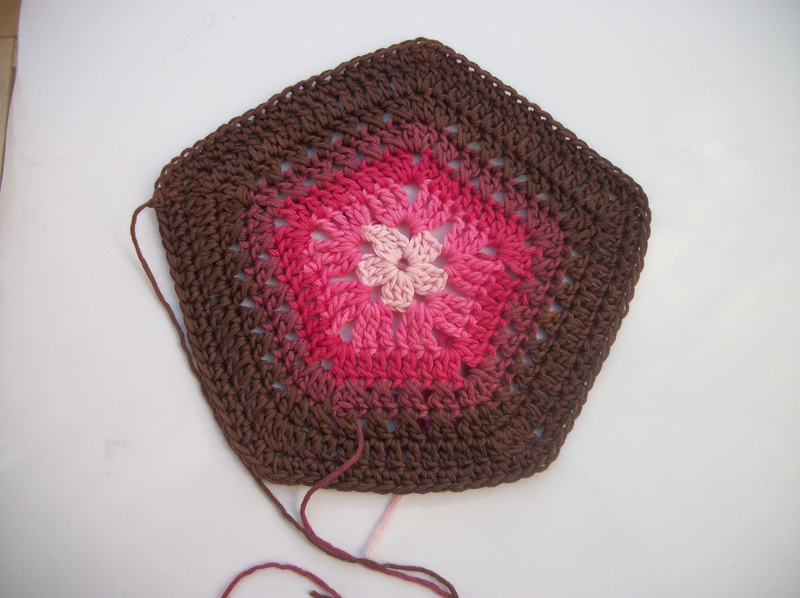 Using thin cotton fabric, make an inner pad by cutting two pieces the same size as the crochet cover, and sew them together. Leave an opening so you can fill the bag with rice. Turn the bag inside out, fill with rice* (I used 520g and added a few drops of lavender oil for a nice smell), and slip stitch the opening closed. * Use a funnel to do this. I didn’t, and ended up with rice all over the floor. 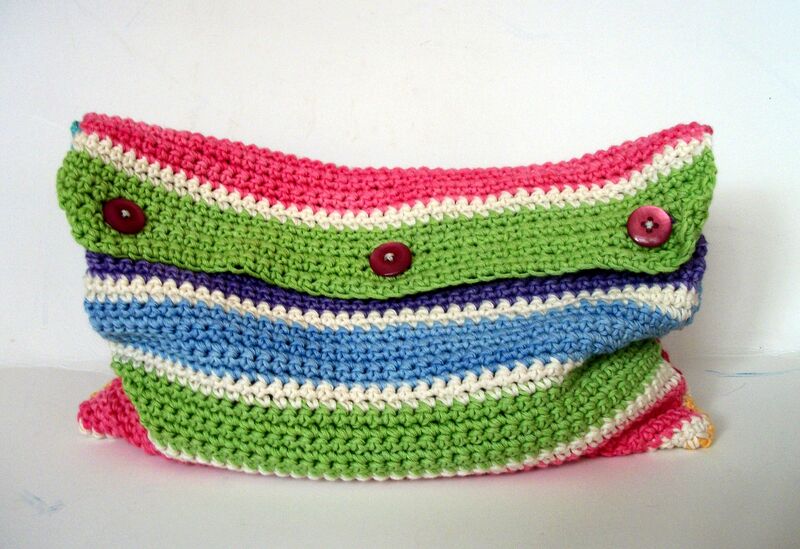 Pop the rice bag into the microwave on 100% power for 3 minutes, insert into the crochet cover, and – there you have it. The cotton has such a lovely feel to it, and I like to think it will keep the heat in for longer because it’s natural – but I could be wrong, and maybe acrylic yarn will work just as well. And about the rice – my mother uses wheat for her heat pads, which also seems to work well, but who the hell has wheat just lying around waiting to be used? My internet research shows that many different things can be used but that rice is perfectly good, won’t attract weevils and won’t give you a horrible surprise after being microwaved on full power. One woman claims to have used the same rice bag for over 15 years, so I’m going with her. I’m thinking, this could be a good idea for an addition to the Jam Tarts ‘range’…. 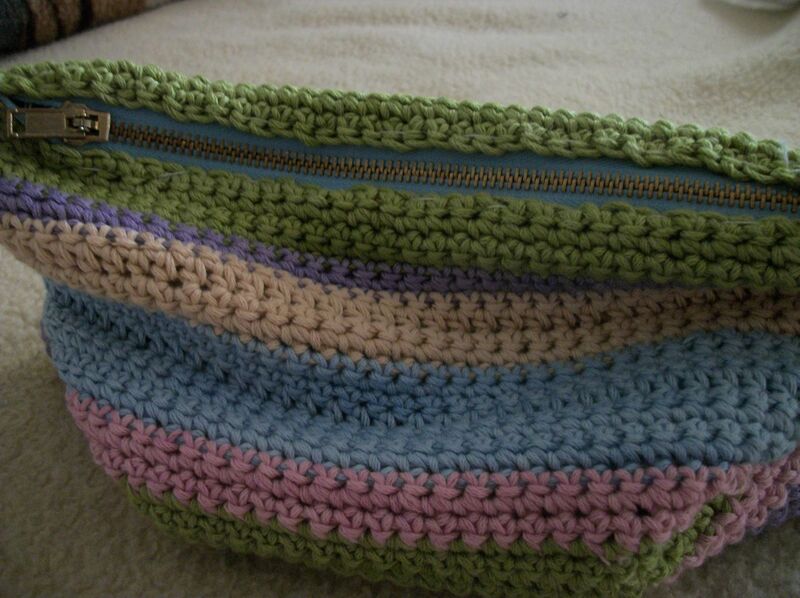 and thanks again to Crochet Missy for inspiring me to get this far. 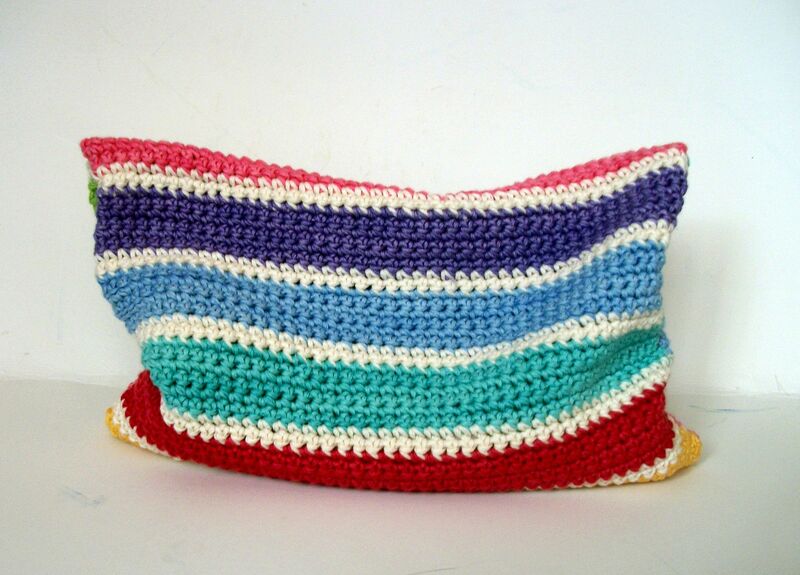 This entry was posted in cotton, Craft, Crochet, Vinni's colours and tagged colour, cotton, craft, crochet, diy, heat pad, microwave, Vinni's colours on July 7, 2013 by Nice Piece of Work. Even though I don’t work a formal office week any more, I still get an atavistic little thrill when I wake up on Friday mornings. Fine with me. 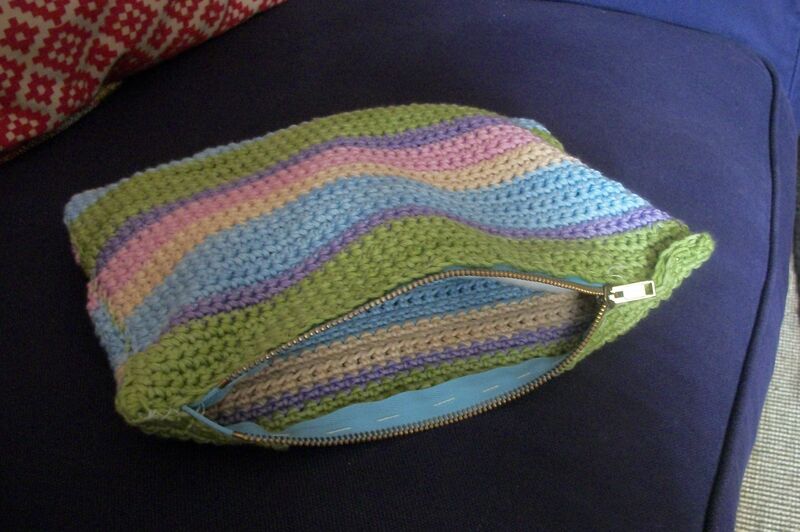 So, a long time ago I was inspired by the lovely pencil cases that Crochet Missy was making. This is not going to be a pencil case but the style is similar, and in fact I’m not going to tell you what it’s going to be, you’ll have to wait until it’s finished. All I’ll say for now is that I LOVE working with cotton, and it took me ages to get a colour combination that I’m happy with – bluebell, sand, willow, purple-pink and lavender. All Vinni’s Nikkim, of course. This entry was posted in Craft, Crochet, Vinni's colours and tagged colour, cotton, craft, crochet on July 5, 2013 by Nice Piece of Work.